International accountant and shipping adviser Moore Stephens has welcomed a decision by the U.K. First Tax Tribunal that interest received on security deposits relating to loans taken out to buy ships within tonnage tax is not taxable. HMRC had argued that the interest income was outside tonnage tax as it related to the purchase of ships by London-based bulk and chemical tanker operator Euroceanica (U.K.) Limited, which was not a trading activity for the purposes of the tonnage tax legislation. International accountant and shipping adviser Moore Stephens says the UK Budget 2013 contains generally good news for the shipping sector. Measures which will have an impact on the shipping industry include a reduction in the main rate of UK corporation tax. This is 23 per cent for the year ended 31 March 2014, reducing to 21 per cent from April 2014. A further reduction to 20 per cent from April 2015 has now been announced. There was also good news for shipping on the capital gains front. International accountant and shipping consultant Moore Stephens says it is regrettable that changes announced for inclusion in the UK Finance Bill 2013 have failed to remove exchange rate distortions from the calculation of capital gains on ships. Currently, all capital gains and losses subject to UK corporation tax are calculated by reference to sterling, with the result that capital gains and losses arising on non-sterling assets, including certain ships, can be significantly distorted by exchange rate fluctuations. 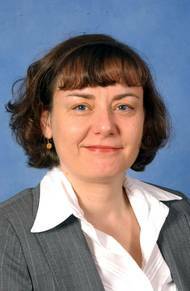 Accountant and shipping adviser, Moore Stephens, has welcomed the decision of Her Majesty’s Revenue & Customs (HMRC) to revise, as promised, its UK Tonnage Tax Manual to at least partly restore, on an interim basis, the pre-2009 interpretation of the strategic and commercial management tests. Moore Stephens has been working for some time with the shipping industry, and in particular with the Chamber of Shipping, in campaigning for HMRC to reconsider its 2009 reinterpretation of the tonnage tax rules. 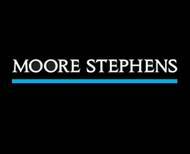 Moore Stephens, understands that Her Majesty’s Revenue & Customs (HMRC) has agreed to re-examine, in consultation with the shipping industry, its earlier intention to unilaterally reinterpret the UK Tonnage Tax rules to the potential detriment of many shipowners. Widely disputed changes based on unspecified ‘legal advice’ were set out in HMRC’s tonnage tax manual in September 2009. These focused in particular on a reinterpretation of the strategic and commercial management tests that are fundamental to qualification for the tonnage tax regime. Leading accountant and shipping adviser, Moore Stephens says companies operating within UK tonnage tax could consider leaving the UK, as a result of HMRC’s decision to unilaterally reinterpret the regime rules. Sue Bill, a tax partner with Moore Stephens, says, “Given the substantial increase in the UK fleet since 2000, it is widely considered that UK tonnage tax has been a success. HMRC’s decision to reinterpret the legislation results from comments in the 2004 EU guidelines on state aid to maritime transport.